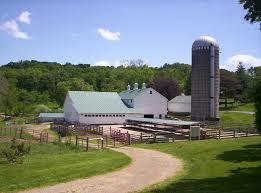 In my last post about a “waking dream,” a farmer named Glenn thought it would take a long time to sell his farm. But he ended up with a deal only a few days after mentioning his plans to a Realtor. Even before he knew that the farm had sold, he found himself standing next to a homeless woman at an upscale, black tie gathering. He was really startled by his encounter with her because she was so out of place at this occasion. Nevertheless, he recognized her as a symbol for his own homelessness. This incident involves the kind of strange juxtaposition of images one would expect from a traditional dream. But Glenn’s encounter happened during daylight hours when he was awake. Was this a coincidence? Most people would argue that his encounter with the homeless woman was “just one of those things”—a fluke. But several decades of studying incidents like this have convinced me that they are far from accidental. There seems to be some sort of participation on the part of the cosmos in the affairs of our daily lives. These events seem to be part of a constant communication between our conscious selves and who-knows-what. But these events are deliberate, predictable, and they happen to all of us. What’s more, these incidents that I call waking dreams have been recognized throughout history. In my book Always Dreaming, I devote an entire chapter to pointing out how multiple cultures over time have worked with waking dreams, making them a conscious part of everyday life. Often these incidents are referred to as omens or signs. But the same phenomenon is being referred to: A person, during waking hours is minding her/his own business when something startling, scary or strange takes place. The first trick is to recognize them for what they are. It is common nature to respond to an upsetting incident in our lives with an emotional reaction—usually a negative one of fear, sadness or outrage. But after being startled, if one can step back enough to look at the incident as a series of metaphors designed to teach, not upset us, then there is much to be gained from paying attention to them. And believe me, they are as common today as they have been throughout recorded history. Next time you find yourself “bent out of shape” by something that happened to you seemingly out of the blue, see if you can step back from the outrage or hurt you feel and look at it as a series of metaphors—dream symbols—that are trying to convey a message to you. So, what do you think? Can you recall a recent incident in your life that fits into this category? If so, write to me about it. Let me know what you think and we can discuss it.